"East High is putting on its first-ever Battle of the Bands! Troy and his basketball buddies are looking forward to living out their rock-star fantasies and Sharpay has formed her very own girl group. But while Troy and Sharpay prepare to step into the spotlight, Gabriella and Ryan are left in the shadows. Gabriella keeps herself busy by tutoring Ryan, but she can't help wondering why Troy wouldn't want to join forces with her again. Didn't the two of them make a great team in the last musical? 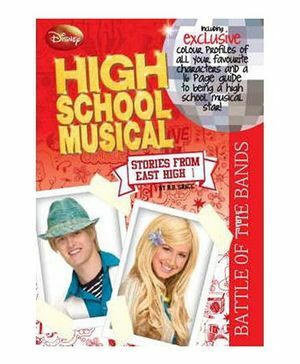 In the end, Gabriella might have to take the stage without Troy by her side..."